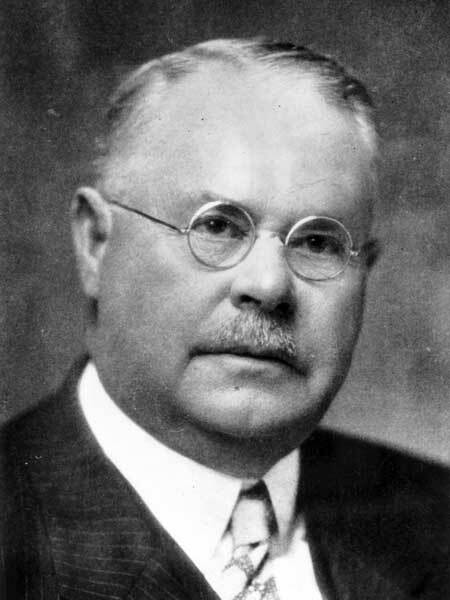 Rancher, Lieutenant-Governor of Manitoba (1929-1934). Born at Amherstburg, Ontario on 29 August 1860 and educated in Windsor, he came to Winnipeg in 1877 and, soon afterward, moved west to Portage la Prairie, later Brandon, to pioneer in Aberdeen Angus breeding. He was instrumental in removing Manitoba’s early concentration on wheat and the farther west’s concentration on range cattle, and helped to make the new country a land of varied agriculture. He was an early proponent of the Brandon, Saskatchewan and Hudson’s Bay Railway. He never actively sought public office but many times through the years it sought him. In 1915 he declined the offer of appointment as Minister of Agriculture for Manitoba. In 1917, during the First World War, he was appointed food controller for the four western provinces. In 1929 he accepted an appointment as Lieutenant-Governor for Manitoba. He founded the Glencarnock stock farms, probably the largest single intensive farming operation in Western Canada at that time. He got his start in Aberdeen Angus cattle in 1890 through the purchase of part of an importation made from Scotland. His Glencarnock herd provided the foundation stock for many Aberdeen Angus herds established on the prairies. He won repeated victories with his herd, capturing the grand championship at the Chicago International. His portrait was hung in the Saddle and Sirloin Club in Chicago, the greatest honour the livestock men of America could grant. In 1882, he married Elizabeth Maud Murphy (1861-1903), sister of Gabriel B. Murphy and William G. Murphy, and they had four children: James Hilton McGregor (1886-1929), Allan McGregor (b 1888), Anna Gwendoline McGregor (b 1891, wife of E. C. Harte), and Kenneth McGregor (b 1893). He was a member of the Masons, Ancient Order of United Workmen, Manitoba Club, Carleton Club, and Saddle and Sirloin Club (Chicago). He served as President of the Provincial Exhibition of Manitoba (1925) and the Royal Manitoba Winter Fair (1908-1922). He died at his Winnipeg home, 227 Yale Avenue, on 15 March 1935 and was buried in the Brandon Cemetery. He is commemorated by McGregor Street in Winnipeg and was inducted posthumously into the Manitoba Agricultural Hall of Fame. “J. D. McGregor is dead after long period of illness,” Winnipeg Free Press, 16 March 1935, page 1. Lawrence Stuckey Collection, S. J. McKee Archives, Brandon University.